Canon EF to M43 Metabones lens adapters. 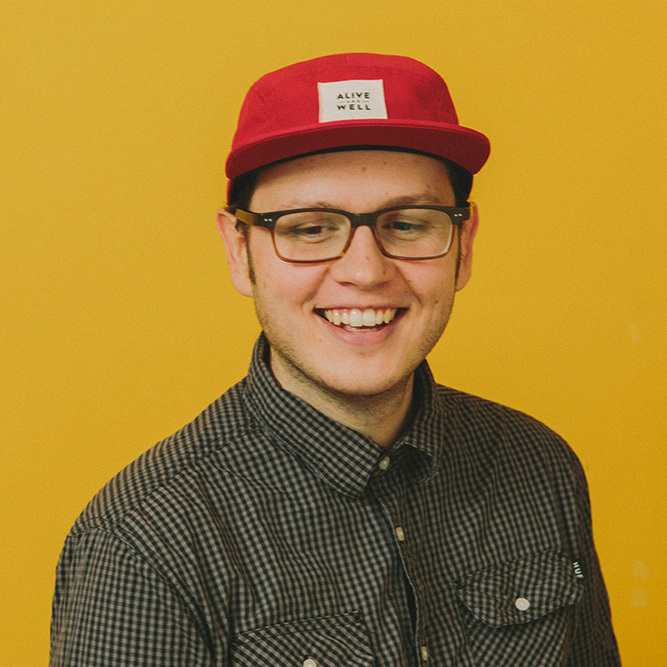 I'm Justin, co-founder of Story & Heart and bird watcher. I love exploring the world, GH4 in hand. A few months ago I reviewed the Panasonic GH4. In short, I loved—and continue to love—it. I carry a small bag with me everywhere I go that has the body, a couple of Panasonic lenses, a Zacuto Enforcer, and a Rode VideoMic Pro—everything I need to capture beautiful 4k imagery with great sound, on me at all times. It has a ton of great lens options. And it’s these—lens options—that bring me to the point of this post. I am a huge fan of the Panasonic GH4 because it’s Micro Four Thirds (M43), and there are a ton of high quality, inexpensive, compact lenses for it. So far my favorite lenses for the GH4 are the Panasonic 25mm f1.4, Panasonic 12-35mm f2.8 IS, Panasonic 42.5mm f1.2 IS and Panasonic 35-100mm f2.8 IS. But, if you’re a new M43 owner, you may have an existing collection of lenses from your previous system that you'd like to use on your new camera system. And for that, you're going to be looking for a lens adapter. Lens adapters allow you to take a lens which has a certain lens mount—say Canon EF—and adapt it to your camera mount—say M43. For me, in addition to having existing Canon lenses I wanted to use on my GH4, I also enjoy filming wildlife and unfortunately there just aren't very many long M43 lenses. Lens manufacturers are starting to remedy this, but it’s a slow process and when you want to capture critters and birds from a distance, you're basically out of luck right now. My search to remedy this conundrum, and make use of Canon lenses on my GH4, led me to the Metabones adapters. Metabones are the most recognized and trusted name in this field, mainly because they’re well built, but also because they're active adapters. They pass on information from the lens to the camera through the adapter, such as electronic aperture control and image stabilization, making for a seamless connection. This was really important to me—for both speed and ease of use. To make use of EF lenses on a M43 lens mount, Metabones has two adapters: the Smart Adapter and the Speed Booster “S” (from now on we’ll just refer to this as the Speed Booster). Let me take a step back and explore the differences between the two. The Metabones Smart Adapter is the cheaper of the two at $399 USD, while the Metabones Speed Booster comes in at $599 USD. The Smart Adapter is marginally larger and heavier than the Speed Booster, though not by much. Left: Metabones Speed Booster. Right: Metabones Smart Adapter. Both the Smart Adapter and Speed Booster are active adapters and maintain communication between the lens and the camera. This means image stabilization and electronic aperture control still work. This is where the characteristics between the two become more pronounced, and why there is a $200 price difference. The Smart Adapter keeps the aperture of your lens the same and doesn’t affect the focal length of the lens. That is, it won’t affect it any more than what will naturally happen going from a full-frame lens to a M43 mount, which will effectively double the focal length. Take the Canon 50mm f1.4, adapt it to the GH4 with a Smart Adapter, and it’s now effectively a 100mm f1.4. Where as the Speed Booster not only speeds up your lens—as the name suggests—by one stop, it also increases the angle of view by 0.71x. So, now that same Canon 50mm f1.4, which would be a 100mm f1.4 with a Smart Adapter, is a 71mm f1.0 lens with a Speed Booster. Pretty nifty, right? Even after reading the descriptions and knowing the differences between the two Metabones adapters, I still couldn’t make up my mind. The GH4 isn’t the best at low light. It’s not horrible, but it’s certainly no Sony A7S. So having an extra stop of light would be a huge asset. Combined with when I’m filming wildlife—which are most active during dawn and dusk—I'm generally in low light shooting conditions and a bit of extra brightness is appreciated. But, on the flip side, my existing wide and medium M43 lenses are already fast—f1.2 to f2.8, so not gaining an extra stop of light in that range isn't really a huge deal. And for filming animals, the extra bit of reach you get—.29x more than the Speed Booster—is a huge asset for maintaining a respectful, proper, and safe distance while also getting beautiful imagery. So, I ordered both of them since they each have their own benefits of use, with an aim to test each and see if one was better suited for my shooting style than the other. Which one did I keep? When it comes to the impact on image quality, I couldn’t see a difference between the two. They both worked well, produced beautiful images—which is largely a product of the lens you’re using—and did exactly like they promised: they allowed me to use EF glass on my GH4. But after testing both, I realized something else. Something that made my decision very easy. In using the GH4 for as long as I have, I had gotten used to a feature that's really important to how I shoot but not available with either of the Metabones adapters. Neither Metabones adapter will allow you to use any autofocus features built into the GH4. Now, I don’t run continuous autofocus or anything like that, but I do use the AE button to get focus before I roll on just about every shot I take. While the GH4 monitor is leaps better than the A7S monitor for checking focus, I have grown accustomed to using AF to nail focus every time on the GH4, and not having the ability to do this ended up being a very big deal. To me, ease of use is a priority in my Panasonic GH4 setup. I take this camera everywhere with me, but never at the cost of the experience. I still want to be participating in whatever event I’m filming—whether it’s the birth of my son, River, going on an epic 1000 mile road trip in 4 days, or taking my pups for a walk—I never want to be so focused on the gear that I miss truly being ‘there’ with my family. In the process of using these adapters I’ve come to realize that for my shooting style with the GH4 they just don’t work. While the Speed Booster certainly looks better on paper—and may be more versatile for many—I quickly realized it wasn't for me. So I returned it. I prefer my Panasonic M43 lenses because they afford me the luxury of autofocus, fitting with my desire to not only tell amazing stories with my GH4, but to also experience the moments as they're happening. As far as my M43 long lens conundrum, I kept the Smart Adapter to use with my Canon 100-400mm. And while I’m using it, I’ll be eagerly looking forward to longer M43 glass so that I can avoid adapters and larger EF lenses altogether. Have a different experience with or any questions about the Metabones adapters? Share them in the comments below. 9 best storytelling blogs to read.